From 2003 to 2010, landscape artist Charles Jencks developed this amazing project entitled Cells of Life. 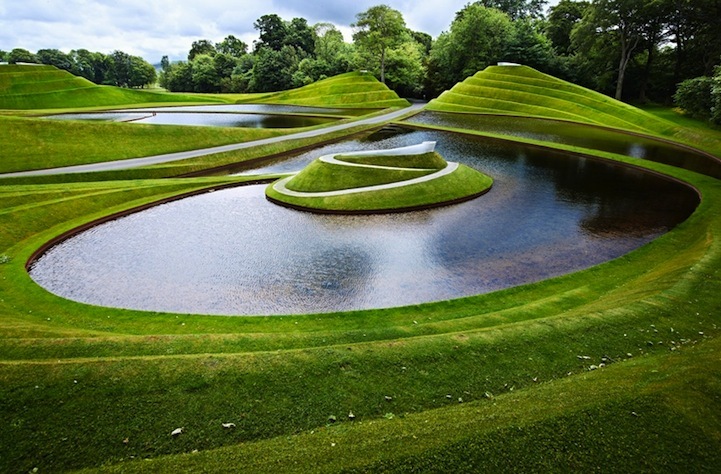 It was completed as part of Jupiter Artland, a privately-owned sculpture park in Edinburgh. The project includes eight landforms and a connecting causeway developed within the incredible outdoor space.